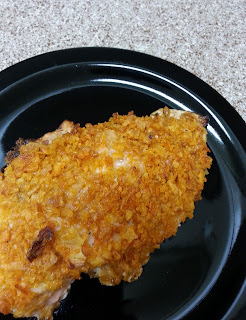 We love chicken and I'm always thinking of new ways to cook chicken. 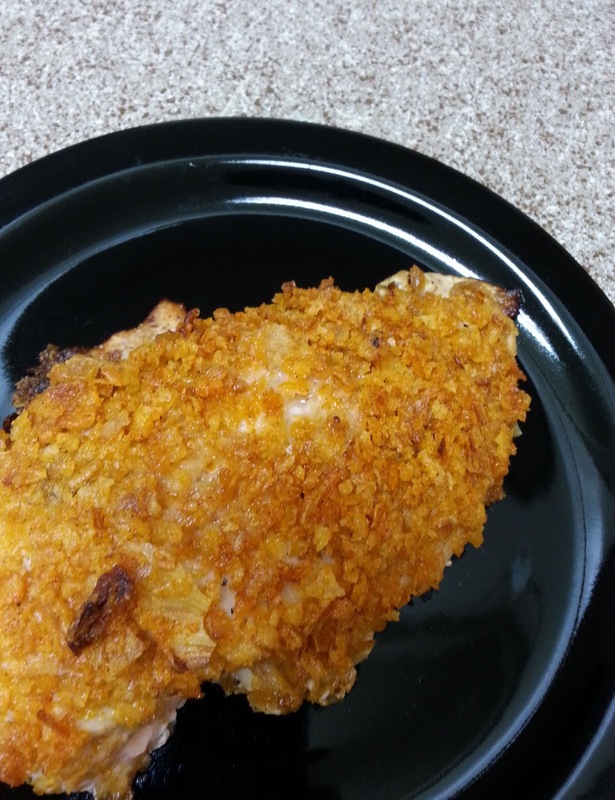 Serve this chicken with just about anything, rice, potatoes, vegetable of your choice, macaroni salad, potato salad. In a plastic resealable storage bag, add french fried onions and paprika. Using your hands or a rolling pin crush french fried onions into crumbs. Season both sides of chicken breast with salt and pepper. Drizzle extra virgin olive oil over chicken breast. Evenly coat each chicken breast with french fried onions. Place chicken on a sheet pan or in a baking dish. Bake 25 to 30 minutes, until chicken is no longer pink.